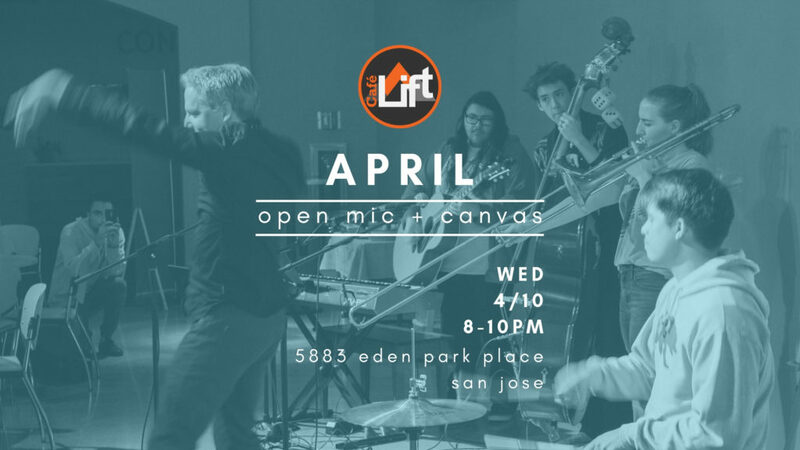 Join us on Wednesday 4/10 for a night of awesome live music and art at Cafe Lift’s April Open Mic & Canvas night! Come play music, read poetry, perform spoken word, and paint on our open canvas! Or just kick back with us and enjoy quality espresso drinks, coffees, and teas! Get ahead of the crowd! Sign up for performance slots in advance online! Artists who sign up online will have the opportunity to have their social media and upcoming shows promoted at Cafe Lift. Don’t worry if you miss the online sign-ups, you will still be able to sign up on the day of. See below for sign-up form. If you’re planning on performing, be sure to sign up online or get here early before the list fills up! Doors open at 7:45 PM and sign-ups start at 8 PM. Performance slots are ten minutes long and 2 songs maximum.